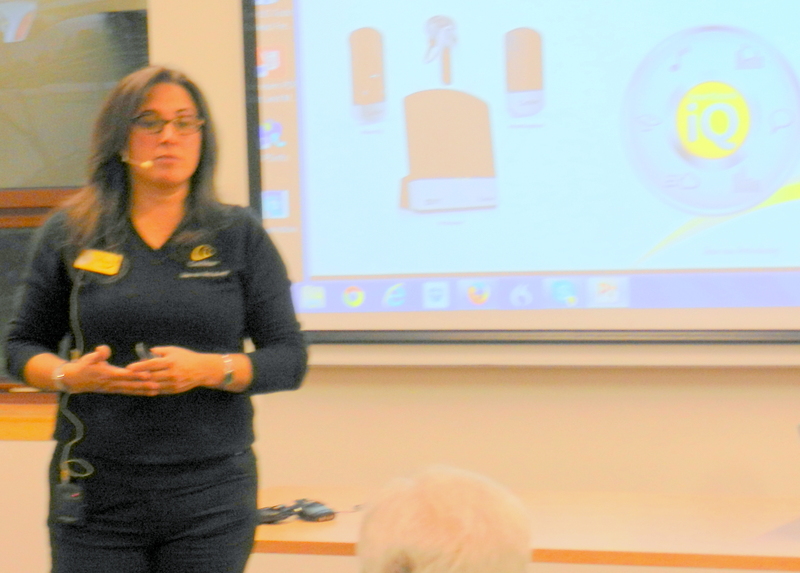 Alison Mendez, Engagement Manager- New York for Cochlear Americas spoke at our October 5 meeting. She is a teacher of the deaf by certification, and has worked with Cochlear for 5 years. Alison described the Cochlear N6 cochlear implant, and related wireless technology, and Cochlear resources available to recipients. She also described the BAHA device, and the latest developments in hybrid CI technology. Eligibility for a cochlear implant. Performance relative to a hearing aid. Technical difficulties prevented the CART system from working, and no transcript is available. For our November 2 meeting, Gail Brenner, Au.D, a specialist in tinnitus and sound sensitivity will speak. Many of us have to deal with what we do hear as well as what we don’t hear, and Dr. Brenner has extensive experience in dealing with tinnitus. Our meeting room has a hearing loop, and CART will be provided. The meeting time is 6:00 to 7:45.